This villa, located in Saint-Pierre-Lafeuille, is ideal for 6 vacationers. 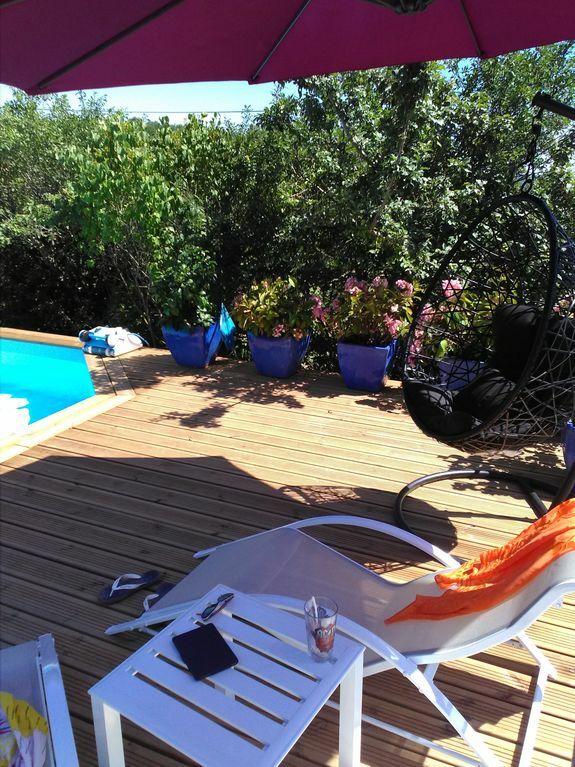 It offers 2 bedrooms, a private pool, a furnished garden and a terrace. The villa features a jacuzzi, air conditionning, central heating, cleaning products, a washing machine, a dryer, ironing equipment and a vacuum cleaner. This villa enjoys a privileged location that will allow you to enjoy your stay in the area. Many activities await you in the surroundings, such as Golfing, Horse riding, Fishing, Hunting, Paragliding, Cycling and Caving. Narbonne/ Montpellier beach is 150 km away from the villa. You will find a supermarket at 8 km. Practice golf course is 8 km away from the villa.